It’s always interesting to photograph a wedding of different nationalities or religious. I am enjoying it and it’s nice to see interesting moments, habits and traditions. Ceremony of Mariya and Claudiu was held in amazing small church of the Archangel Michael at Petřín in Prague. 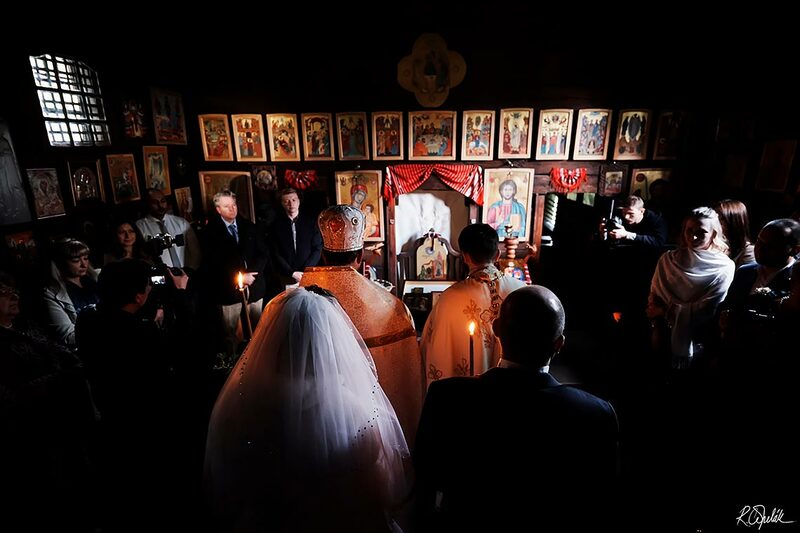 It was a challenge to photograph in such a small and dark place, but the atmosphere was absolutely different compared to previous wedding I photographed in churches. This wooden carpathian church is really amazing place. The newlyweds and their guests enjoyed their wedding a lot and the fun continued till early morning.